Thank you for 10 years Shiroku !!! Thank you guys for supporting me for 10 years! I gave my first official concert at the “Chisaii goes Con” in march 2006. At this time I not even dreamed about singing regularly at conventions in front of more than 3.000 people or to be invited to sing in Finland or Lithuania. I never dared to think about producing CDs or working professionally as a singer. And now in 2016 I can look back and say, that I am happy to have so many friends and people who are supporting me. I am happy that I was allowed to produce with my label “Anime Records” more than 4 long players and can give concerts on stages and even countries like Finland or Lithuania, I would never have dreamed of. 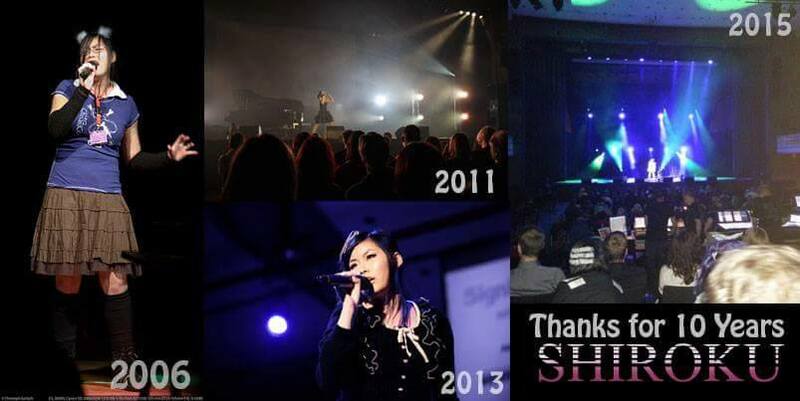 Thank you guys for making this possible, supporting me, hearing my music and coming to my concerts. It makes me happy to know that so many people are supporting me and sharing the things I love and life for. 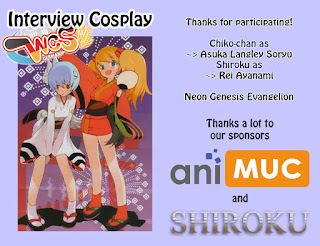 I already announced our Interview Cosplays for the World Cosplay Summit in Nagoya this summer. Some of you know that I already cosplayed this version of Asuka before. I am a big fan of Neon Genisis Evangelion and my favorite character is of course Pen Pen. I also cosplayed Rei in her maid version so we decided to go for this Anime quite quickly. We wanted to Cosplay something we love, something easy in order to gain time for the other Cosplays and something traditional for the courtesy visits. I also have been to Japan in summer before and can tell you that Japanese summer is hilarious hot and humid. Although it was very hot I felt comfortable while wearing a Yukata. So we went for the Matsuri version and decided not to fake the obi but to wear this Kimono as traditional as possible. Because my friend actually is a typical German girl we thought it would be a great idea that she would cosplay the German Asuka. 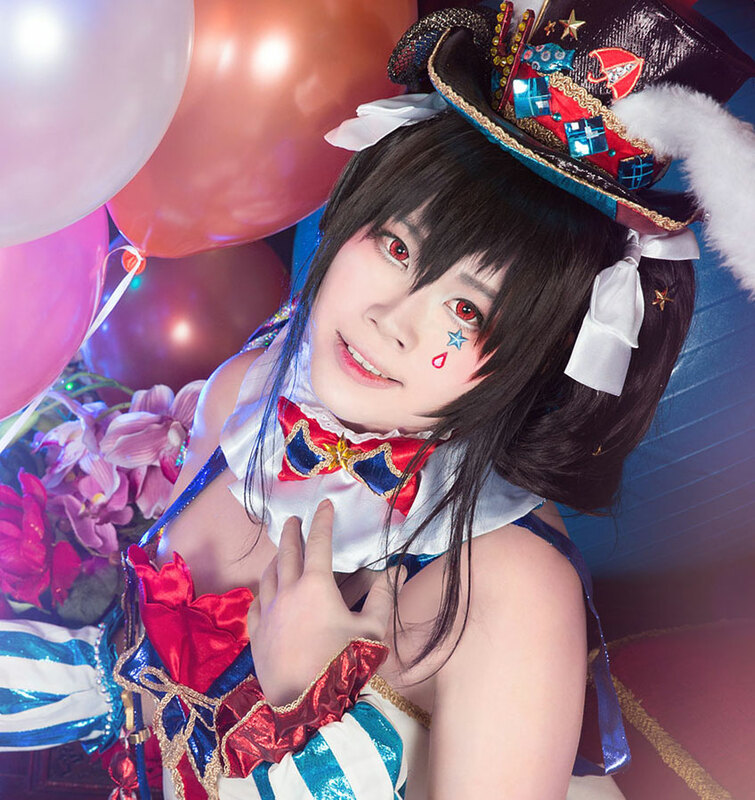 Actually I already finished this Cosplay in November 2015. 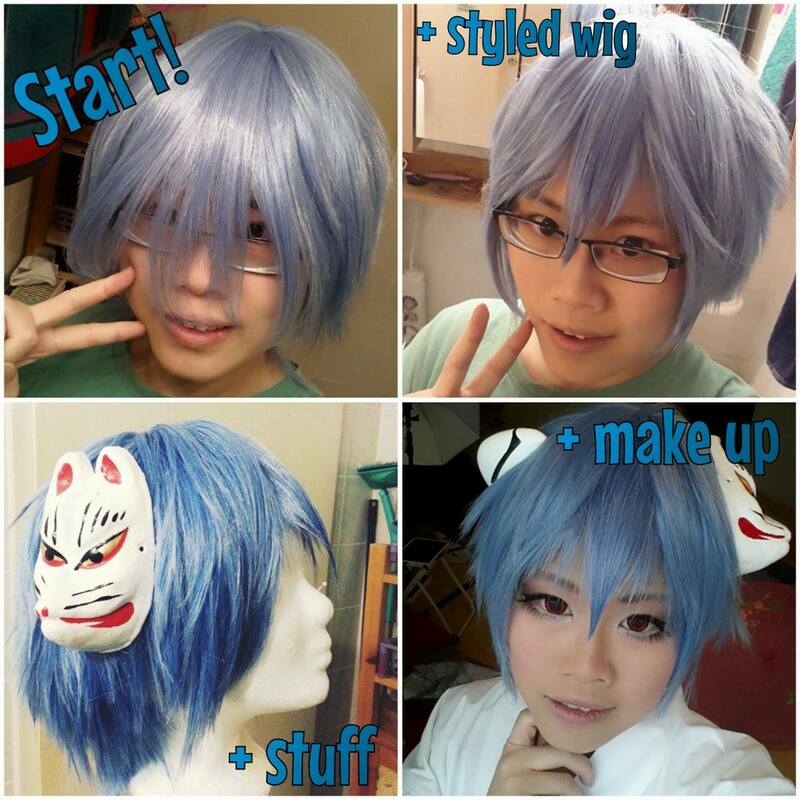 I started it directly after choosing our Cosplays for Nagoya. I guess it was a week after the preliminary. 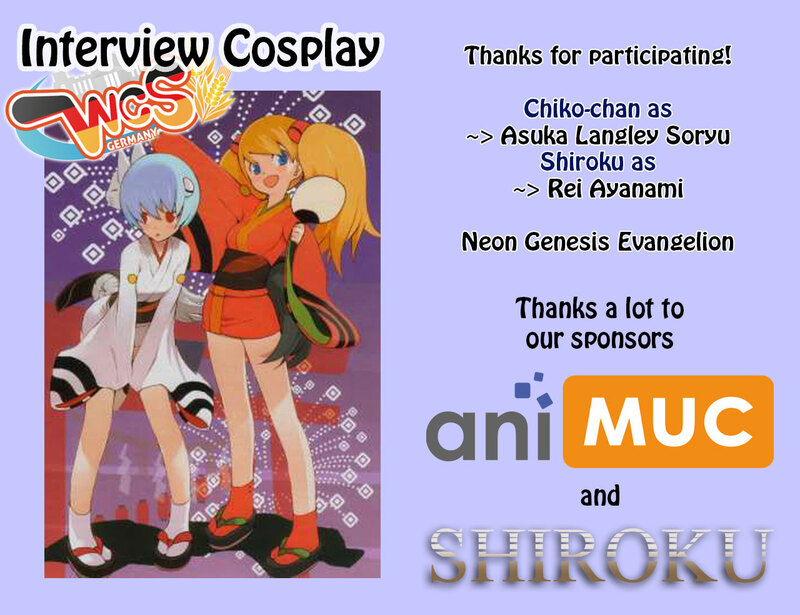 I kept it as a secret until now because we wanted to announce the Cosplays with a quiz on several social media platforms. As mentioned above it was very easy to sew this Cosplay. It actually took me 2 days to finish the sewing part and 4 more days for the crafting part. Mostly I just waited for the next layer to dry. The Kimono pattern is quite easy. It actually consists of stripes which you just put together. I have a lot of Kimonos and Yukatas at home. So I just took one out of my board and used it as a pattern. I modified the sleeves because they are not typical in shape and length. I just cut everything out and put it together. Nothing really difficult so far. One of the most interesting parts -> sleeves. I needed to line them 2 times. Why 2 times? As you can see, the inside of the sleeves are red, but if you just line the sleeve in red you can see the reddish color through the white sleeves. So I put a middle layer in white between. We also discussed the way of attaching the black stripes to the sleeves. We talked about painting, gluing, applying and embroidery. In the end we used flock foil. It was the best way to attach the stripes neatly. And the structure looks really nice. Because we wanted to wear the Kimono in the traditional way we sewed a normal Obi. 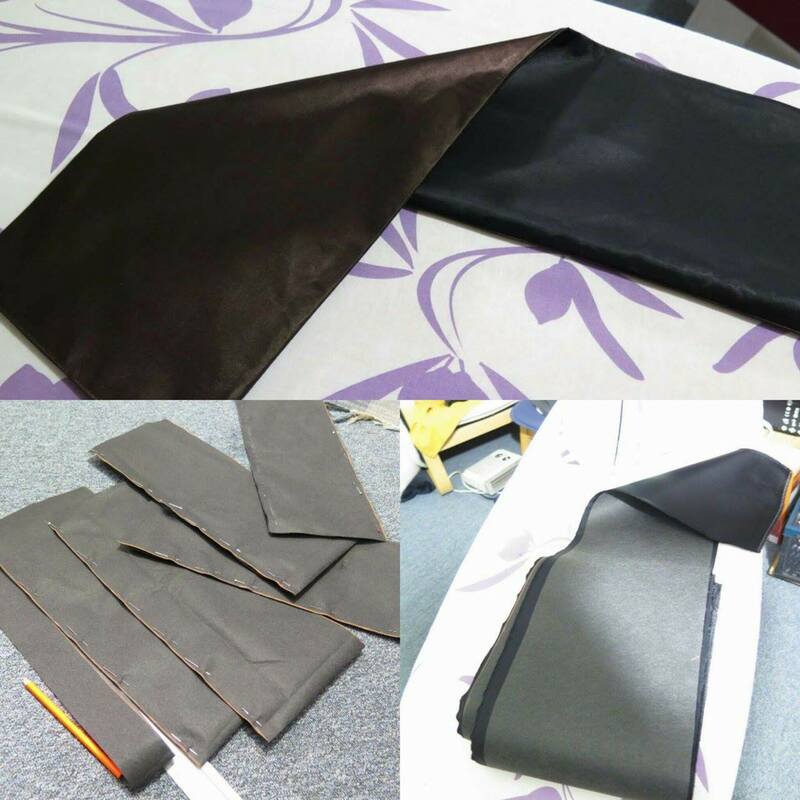 As you can see in the original picture, the Obi is folded in the front and shows a brown color. That’s why we used black fabric for one side and on the other side brown. The Obi is about 18 cm wide and 3,60 m long. The next interesting parts are the accessories for the wig. I not only crafted the small prop but also the fox mask. I found a better one in Japan, so I changed the mask after finishing the self made one. For me it was the first time working with Styrofoam. At first I drew a pattern and cut it out with a cutter. Afterwards I grinded the Styrofoam into shape and used a white acryl grounder. I waited until the coat dried and grinded again. Than again I painted it with acryl grounder, waited and grinded. I did this about 17 times, to get a smooth surface. The paintings are simply made with a permanent marker. Afterwards I finished the props with a clear coat. I spent a lot time waiting for the layers to dry. Grinding took not that much time, because the pieces are quite small.The pieces are attached with some press buttons at the wig. We decided to make a shooting with this Cosplays in order to try out how comfortable they really are and if we need to make some changes. We are also planning to wear them at a summer event to experience if we can handle the heat. It was quite difficult to find a Japanese room in Germany but we were successful. Thanks VW for taking these awesome pictures! I hope you like our choice and costumes! We are really looking forward to wear them in Japan!